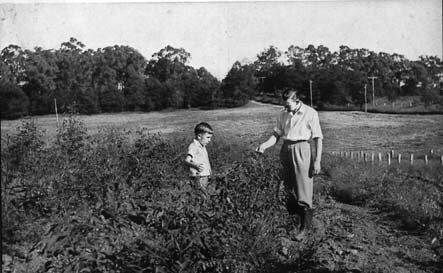 Plate 3: Sons, Ken (left) and Neville, in a newly planted strip of Tallow-woodtrees. Trees were six inches high when planted in the Spring and the picture wastaken in the following Autumn. The strip contains approximately 1000 trees (videChapter 8). Tallow-woods are not ndigenous to our district, but are doing well todate.